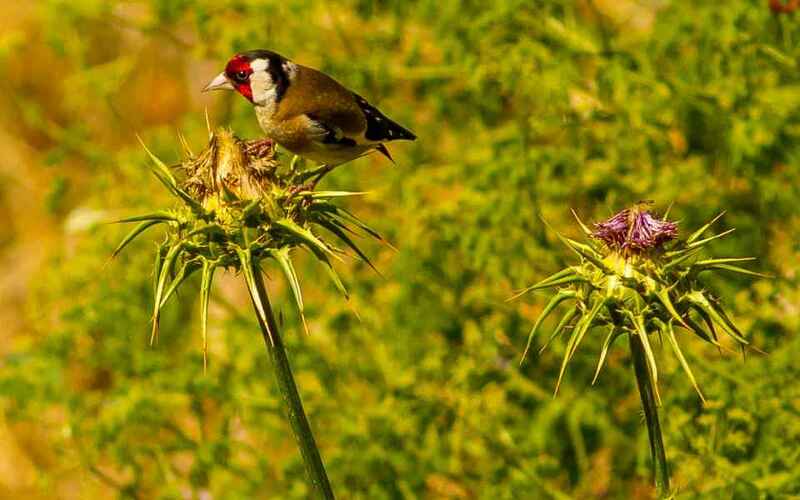 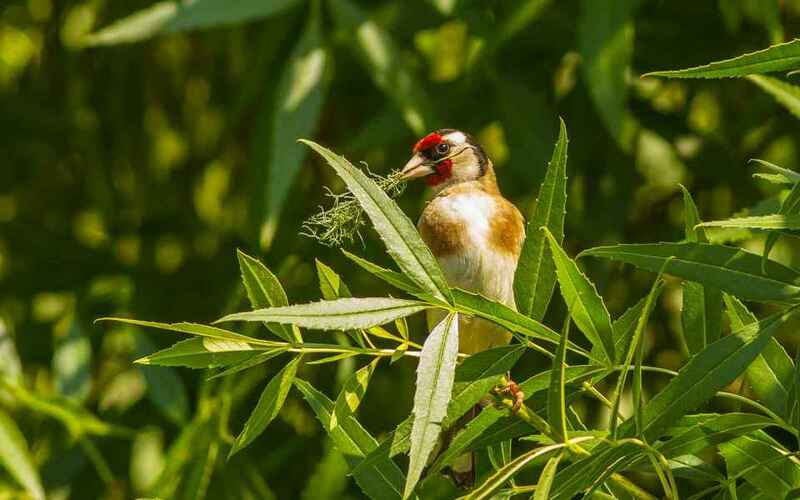 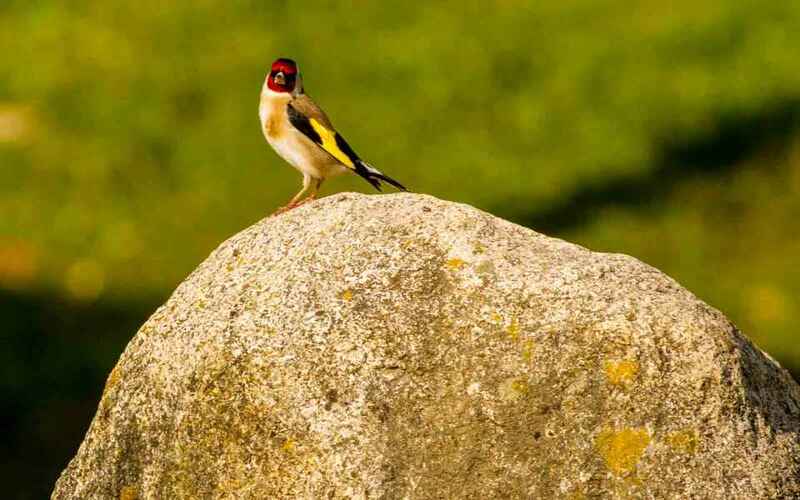 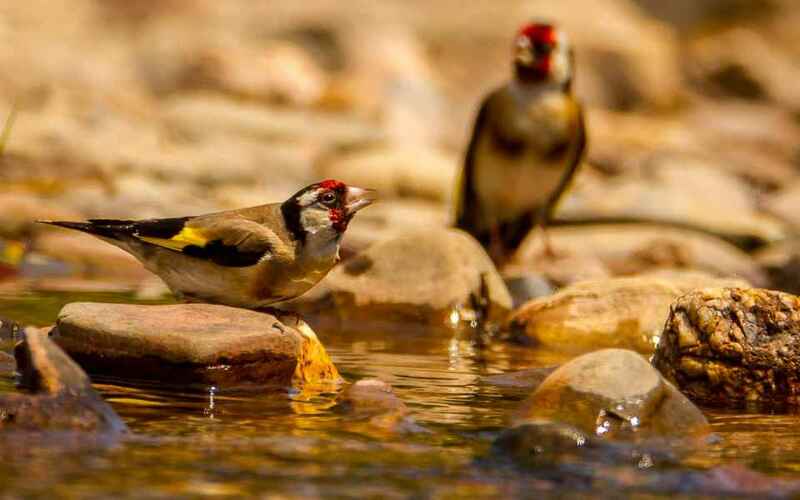 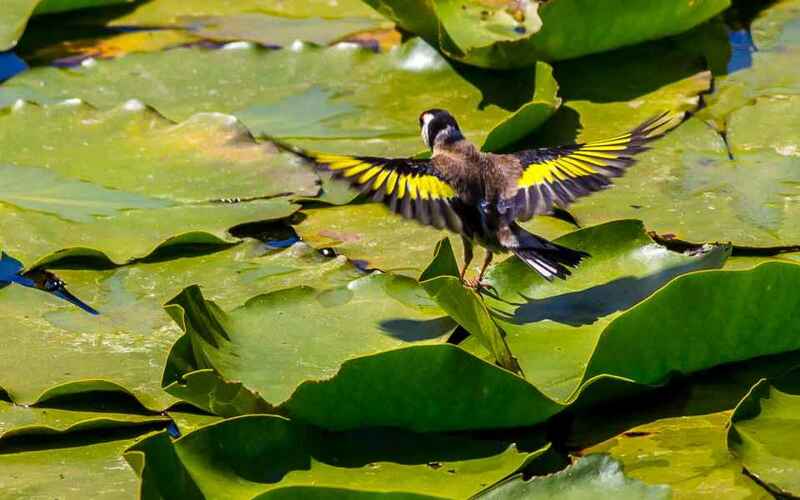 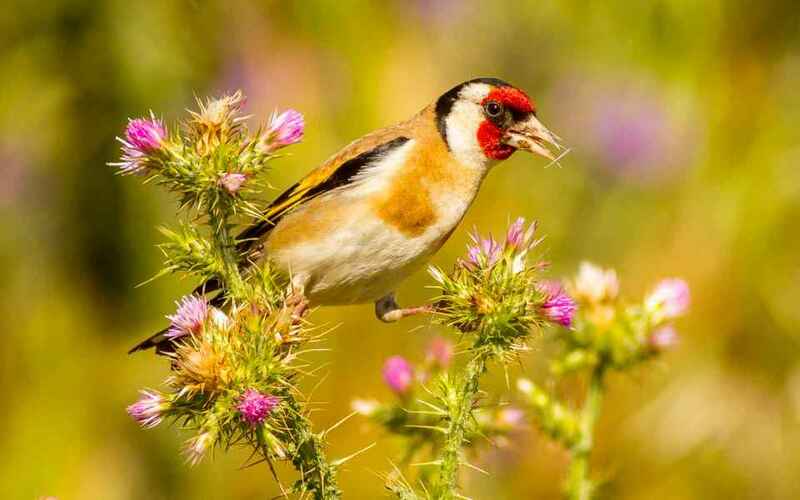 The European Goldfinch gives the lie to that oft-repeated assertion that "All European birds are brown and boring", for with its red, black and white head, its distinctive yellow wing bars, its beautiful song, its confiding habits and its bouncing, joyous flight it could never be described as either brown or boring. 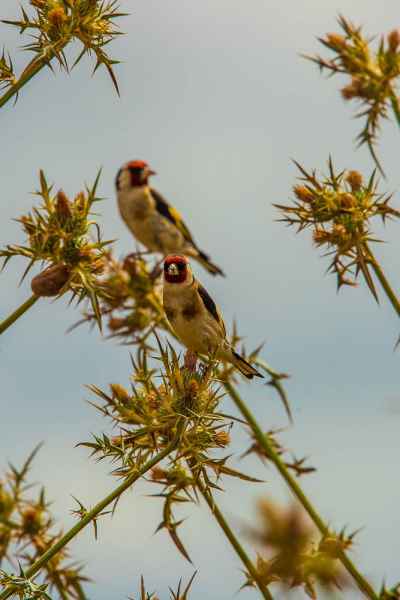 Resident throughout the country, it prefers grassland and open cultivated areas with seed-heads that provide its food. 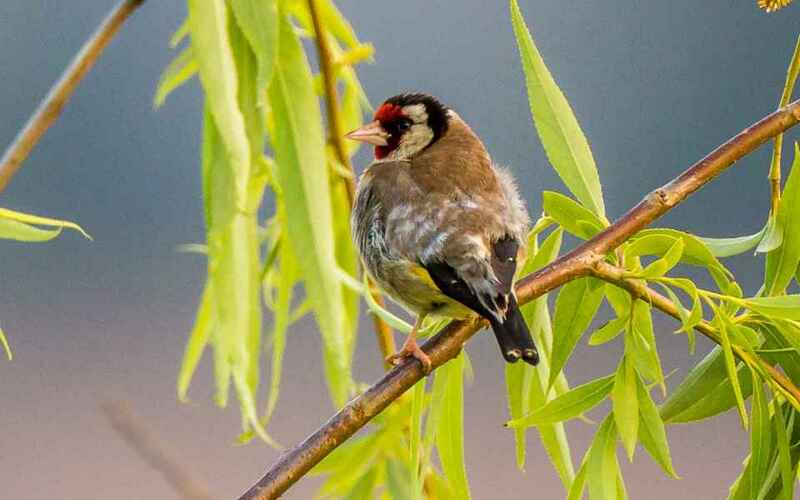 It used to be kept as a cage bird on account of its song, but this practice has now become, thankfully, all but extinct. 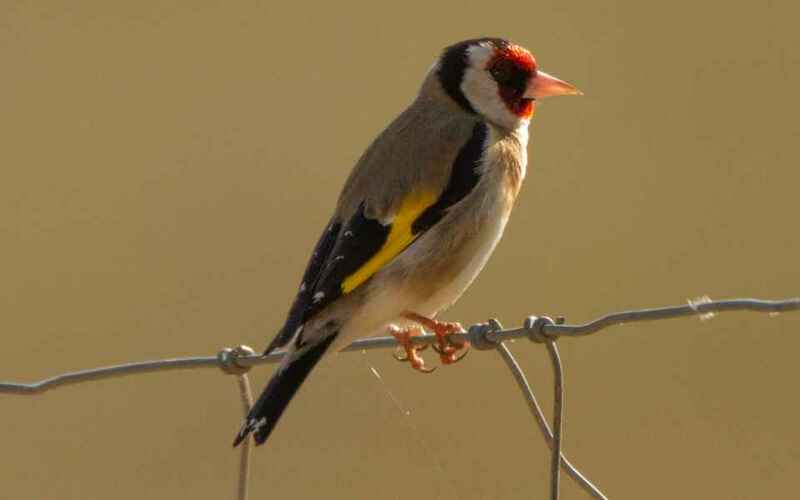 In the Autumn and Winter it forms large flocks called "Charms".